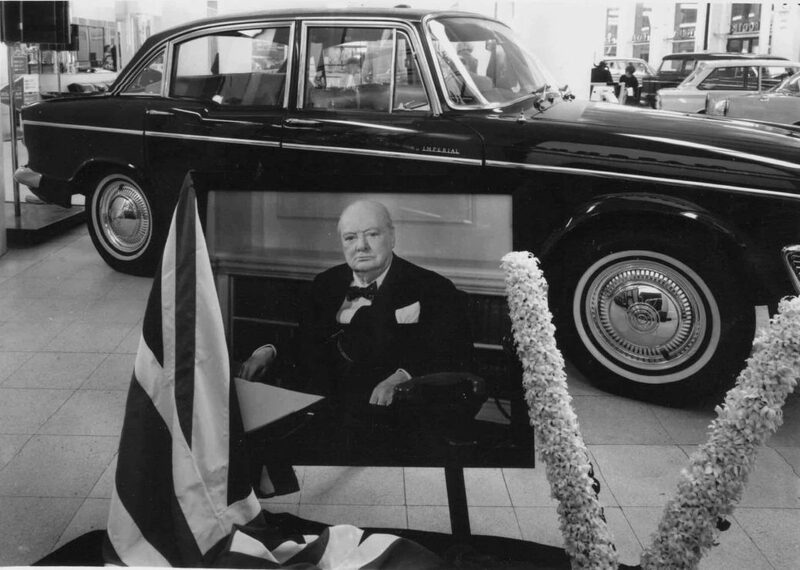 A new, own­er-dri­ver Impe­r­i­al came out just before Churchill died. Rootes’ Lon­don show­rooms placed a pho­to and flo­ral “V” near their dis­play mod­el. WSC nev­er rode in one of these, of course.